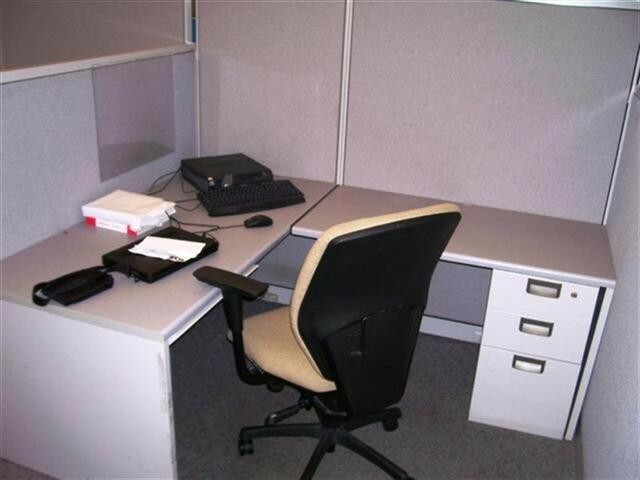 Description: 220 6'x6' Maxon work stations need to be out 1st week of November. Customer is moving and has purchased new furniture. Open to offers. 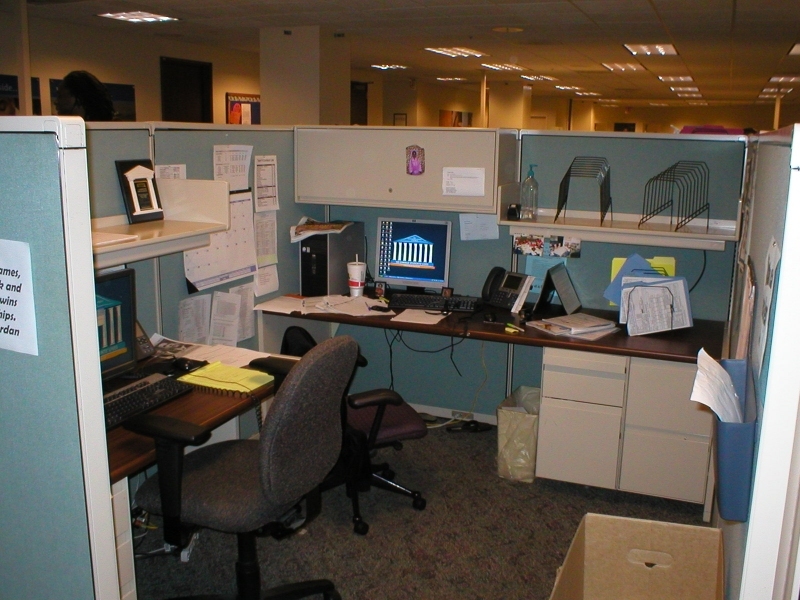 Has over 400 work stations to liquidate. 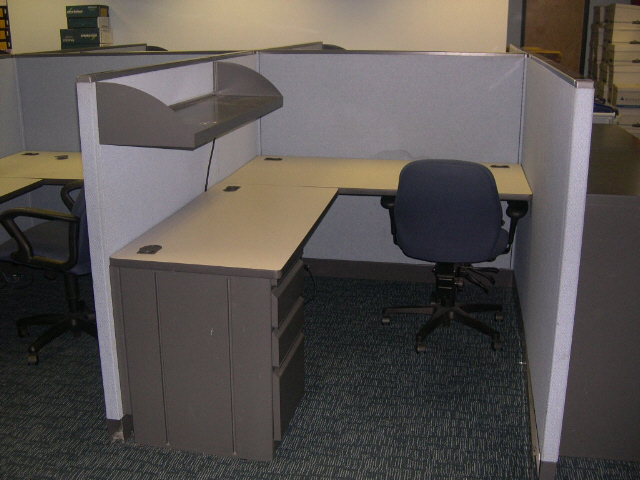 Description: This used inventory is (28) 47" tall 48" wide telemarketing stations palletized and ready to load out of Clearwater, Fl. 33762. Call for low pricing. Description: We have 29 Avenir 8x8 and 6 6x8 all 65 high and each includes binder bins, 1 BBF and 1 FF or two drawer lat, pencil tray, and power. Tan Value fabric with tan value trim. Loading out on 7-10. Please c.. Description: We have 40 cubicles of Allsteel Consensys 56 high, 5x6 and 5x6.5 which includes 1 BBF ped, 1 Shelf w/ light, 1 60x30 and 1 48x24 or 1 42x24 return, and power. Product is very clean. Please call or ema.. 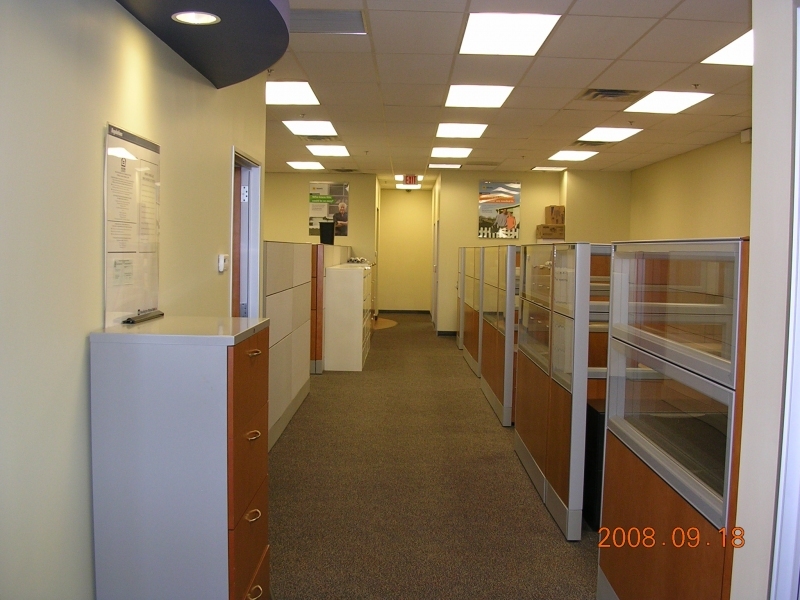 Description: 18 large Haworth cubicles and the rest of this Bank's furniture. Also have the Haworth furniture available at 2 other locations, Pinecest, Florida and Bonita Springs, Florida. Please contact.. 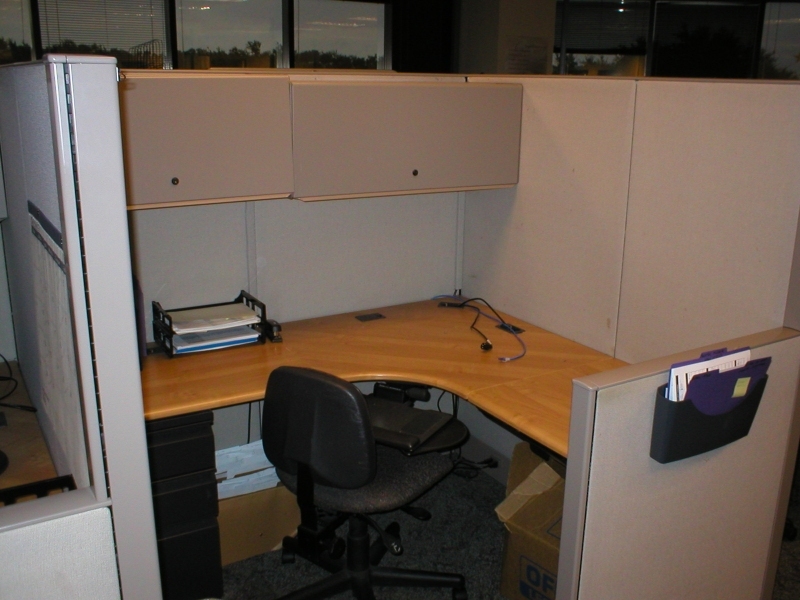 Description: We will have available Nov 15 in Florida over 800 Teknion Boulevard cubicles. 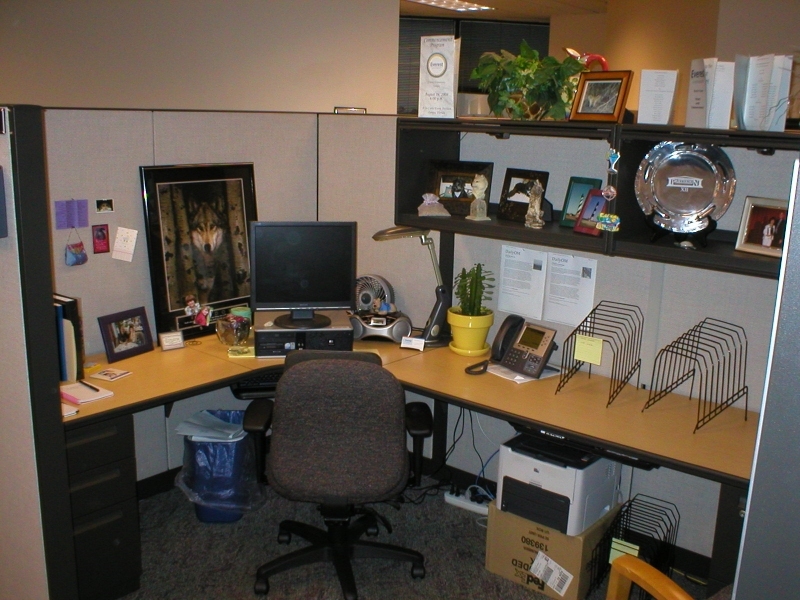 There are 6x8 and 8x8 66" high and include corner worksurface and 2 returns, 2 pedestals, 2 open shelves w/ task lights, b.. 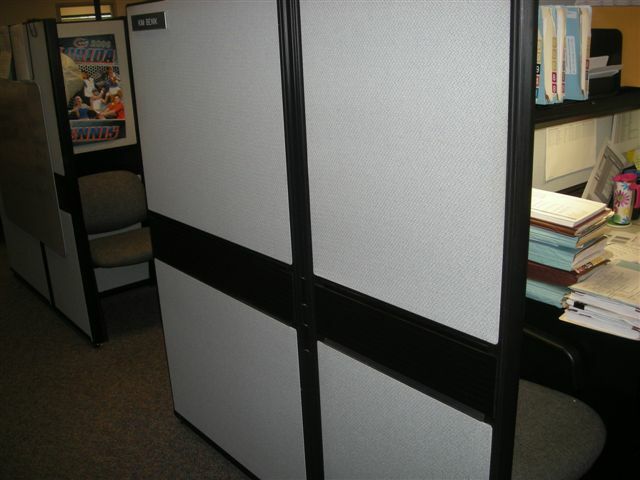 Description: Available December 1 over 650 Steelcase Avenir cubicles in 5x6, 6x6, 6x8 and 8x8 with 53" and 65" high panels. Includes 2 peds and shelves. Gray fabric with gray trim and components. Good AS IS condit.. 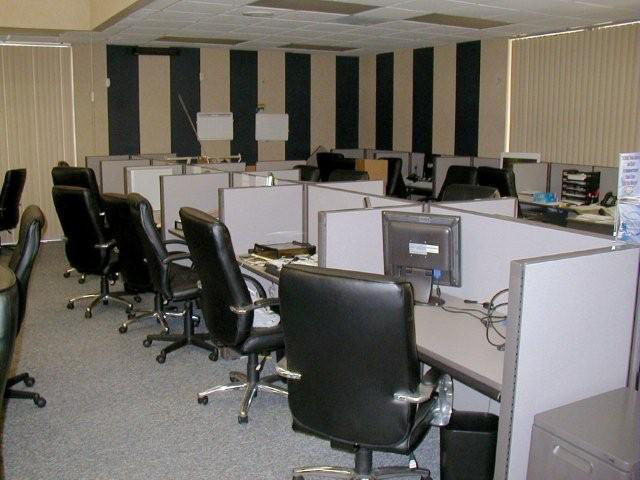 Description: We have 350 Teknion Boulevard 6x8 66 high cubicles that can be reconfigured in 5x6, 6x6, and 8x8. Some 50" high panels available. Includes 1 BBF and 1 FF pedestal, 1 or 2 shelves w/ task light, 4 circ.. Description: We have 30 stations of 9000 70x75x65 high. Includes 1 45" binder bin w/ light, 1 BBF and 1 FF pedestal. 1 70x30 and 1 45x25 worksurface, power and pencil tray. Description: Purchase an entire bank location of furniture still standing. 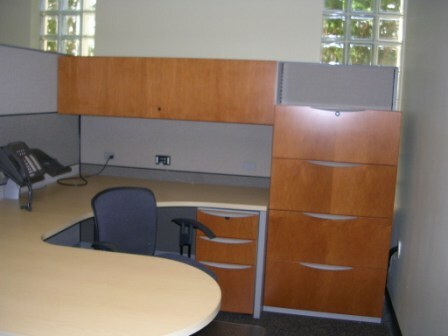 Large Haworth Cherry Wood & Glass cubicles, Large Steelcase Avineer cubicles, private offices, conference tables and chairs, seating, .. Description: We have 110 Allsteel Consensys 5x6and 5x6.5 56 high. Great AS IS condition. 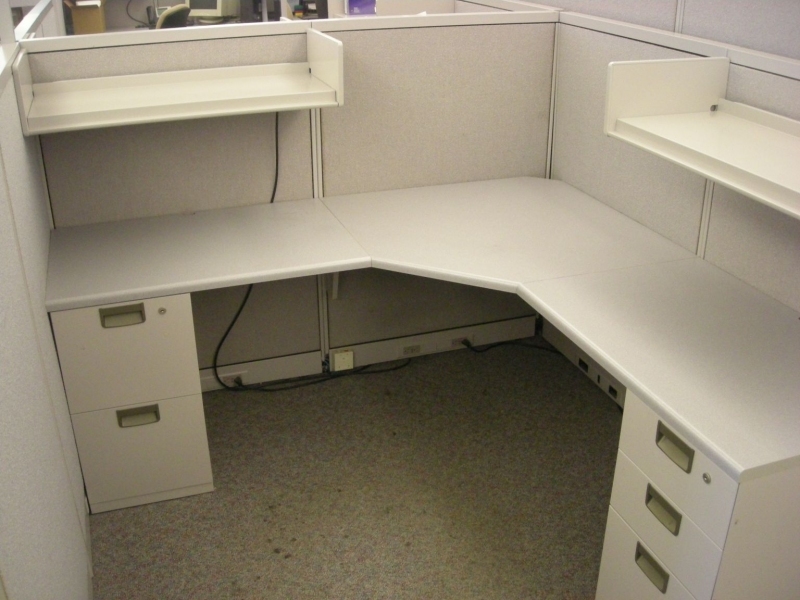 Includes 1 BBF ped, 1 shelf w/ task light, L worksurface config. $250.00 ea. 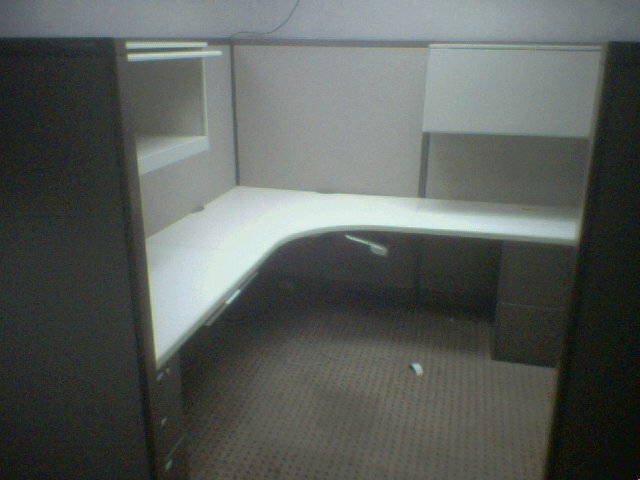 Description: Approximately 90 stations of Steelcase 9000 Customer has moved and purchased new furniture. This needs to be out the 1st week of November. Customer is open to an offer. 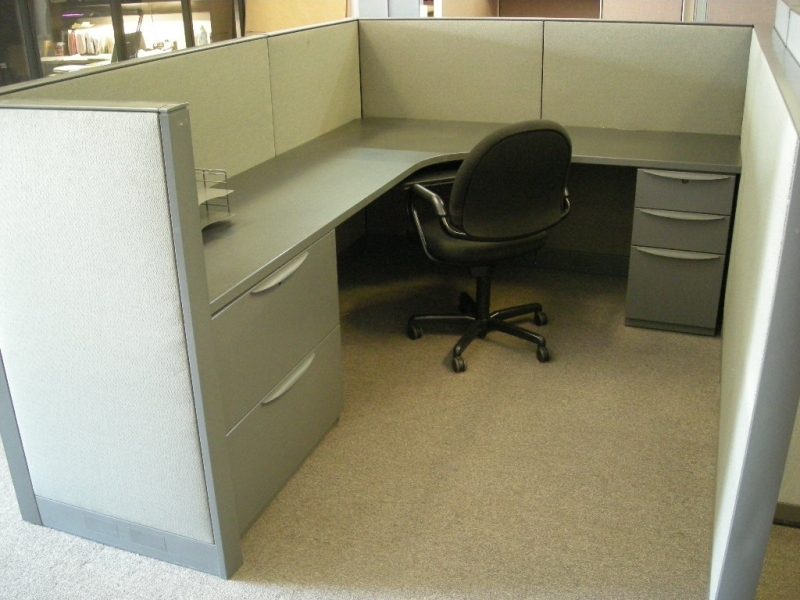 Description: Includes 1 BBF ped, 1 36" 2 dwr lateral file, power, corner and 2 returns. Great AS IS condition. 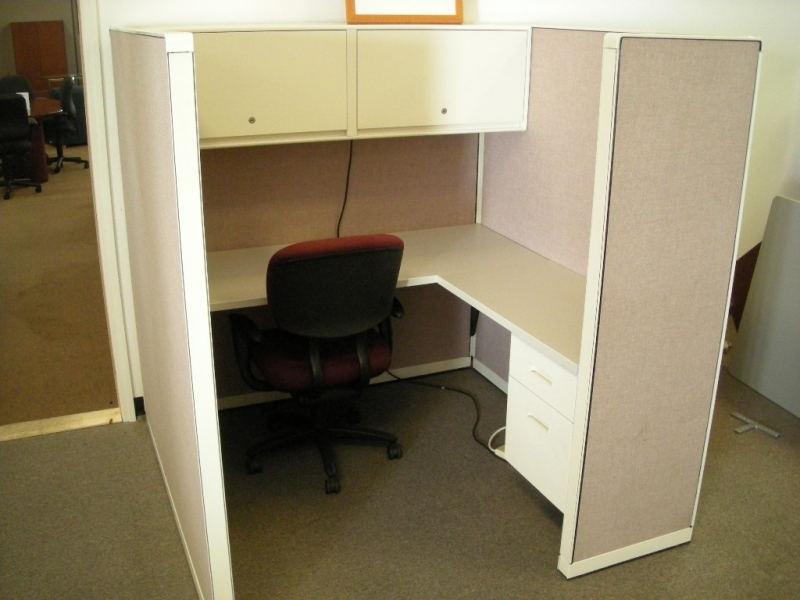 Description: We have 60 stations of 6x7x63 high cubicles available. Each unit has 1 48" binder bin w/ task light, 2 pedestals, 1 36"x36"x24" corner work surface, 1 48x24 and 1 36x24 returns, and power. Priced.. 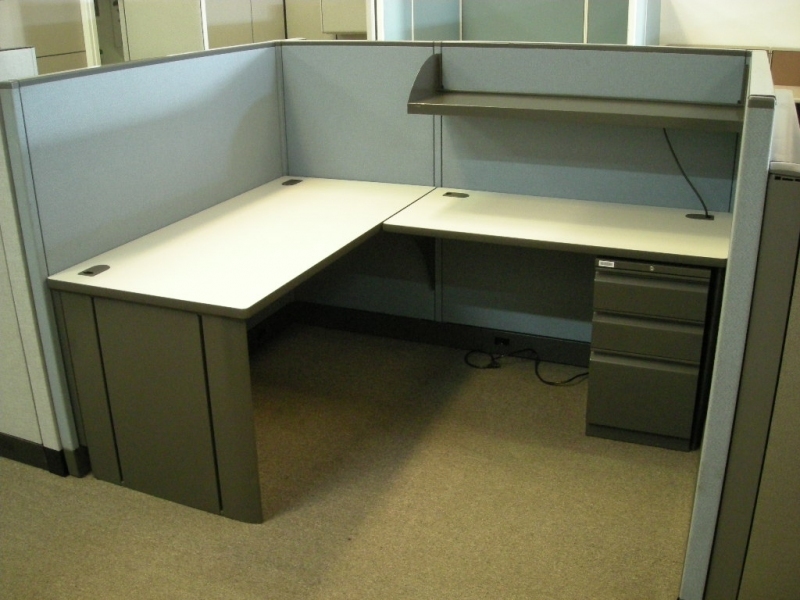 Description: 2007 Steelcase Answer 6'x6' work stations including a few manager stations. Approximately (60) stations to liquidate. Product needs to be out 1st week of November. This inventory is part of over 400 w.. 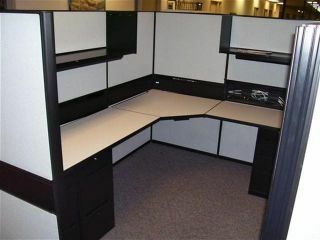 Description: 2007 Steelcase Answer 6'x6' work stations including a few 9' x 6' manager stations. Approximately (56) stations to liquidate. All panels are 36" wide, 2 36" overhead storage bins, lights and BBF. A fe.. 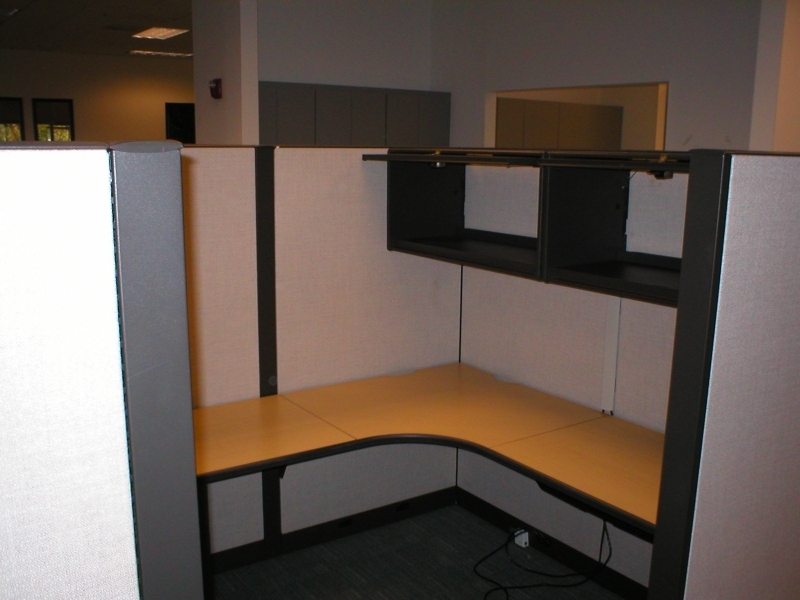 Description: We have over 150 Steelcase 9000 6x8 cubicles located in Tampa, FL. GV1 fabric with GV2 or GV5 trim. Very clean AS IS product. Also have 5.5x6 and 6x8 U shape. Options available include 2 peds, 70" or .. 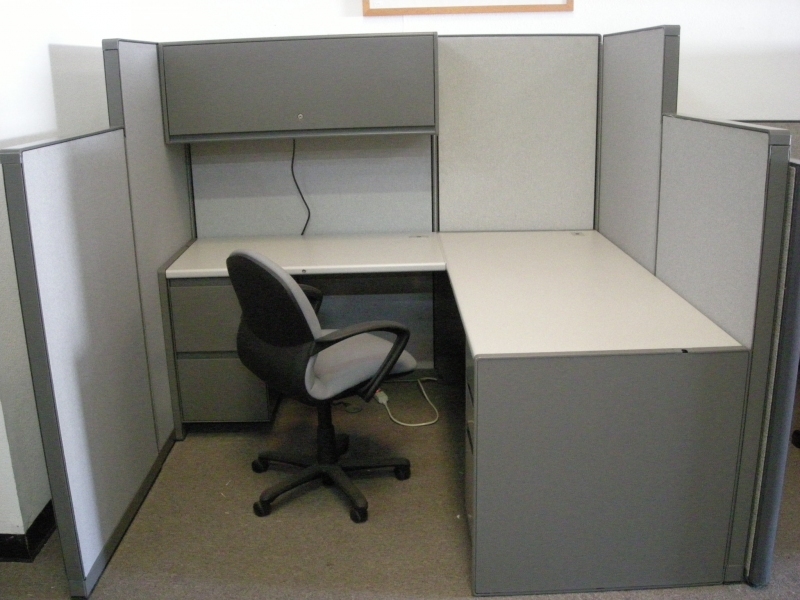 Description: We have 110 Allsteel Consensys cubicles in great AS IS condition. 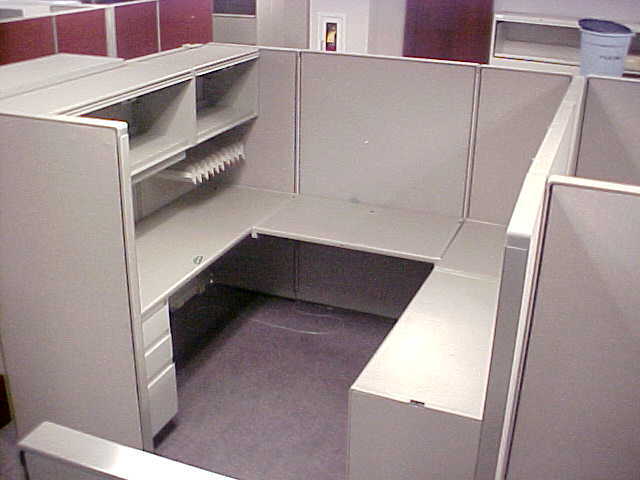 Includes 1 BBF, 1 shelf w/ light, power and L worksurface config. 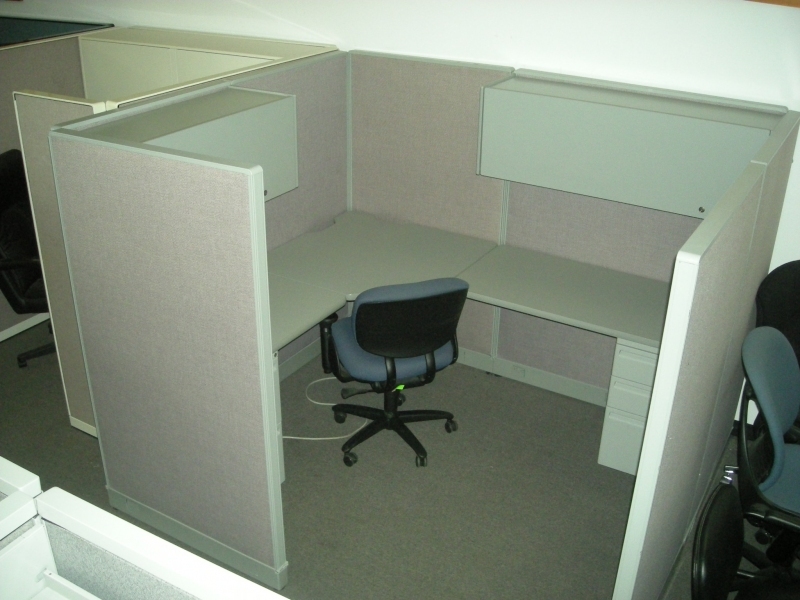 Description: We will have available Dec. 1 in Florida over 600 Avenir cubicles. There are approx 300-350 6x6x53 high, approx 150-200 6x8 and 8x8 65 high and approx 75-100 5x6 65x53 HI-LO. Product is in very clean ..